Do you want to find duplicate files on your system? Well, check this list of the best free duplicate file finder for Windows. Duplicate files, which accumulate as garbage in an attic, end up occupying the available space on your hard drive that is destined for the things that matter. Besides, they create annoying conflicts in our photo applications, file managers or music libraries. Although it is a widespread practice to have identical files in different locations, it is one of the worst ways to organize your documents. Luckily some tools allow you to get rid of all that garbage without having to waste time reviewing file by file. 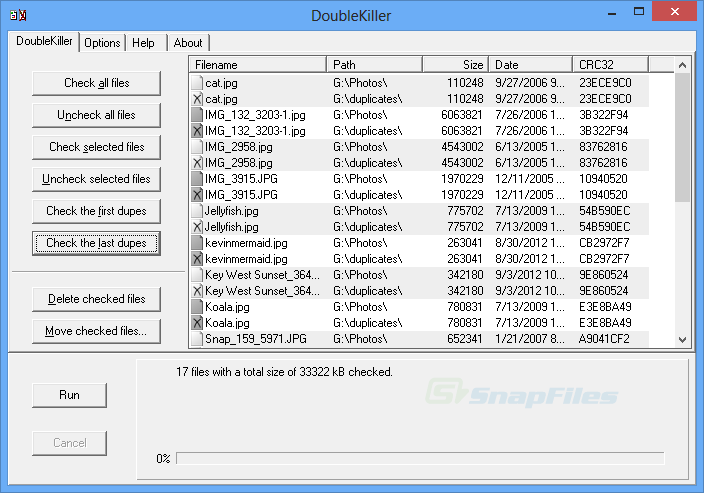 The first of the free duplicate file finder I want to recommend is DoubleKiller. DoubleKiller has like an old interface, but it shows that all the resources of the creators have focused more on what the program is capable of doing behind the scenes, than on the aspect of its interface. And the truth is that they have done an excellent job with DoubleKiller because it is a powerful tool with which you can analyze your hard drives or folders in search of duplicate files. DoubleKiller detects that the files found are duplicates using data such as creation date, file size or file checksum (verification of CRC32) to be sure that they are identical files and is not a mere coincidence in the name of the file. You can configure filters in the search for duplicate files, excluding a specific file extension or size to make the search faster and more accurate. When it finishes its analysis, it shows the duplicate files found and allows you to certify that they are duplicate files before proceeding with their removal. Many of the software that analyzes your hard drive to find repeated files are somewhat complicated for less experienced users or are paid. Luckily, Duplicate Files Finder doesn’t comply with this description, since it offers a simple interface to configure and, besides, it is free. Duplicate Files Finder is one of the best duplicate file finders that will help you quickly find all the duplicate files in your system in just three steps. The first will be to indicate where you need to find those files, either by analyzing your entire computer or by limiting your range of action to the folders you indicate from the Directory option. You can also refine the search of these files including the file formats that you are interested in and filter the search for repeated files based on their size, establishing a minimum and maximum size for them. After this, the second step that is none other than the analysis and search of the files that comply with the rules established in the first step will be started. In the third step, Duplicate Files Finder will show you the duplicate files that occupy your disk. Right-click on any of the detected duplicate files, and it will show you the options to delete, preview or copy the found files. dupeGuru is a free duplicate file finder that you can download for free from your website, and that is also available for other operating systems. 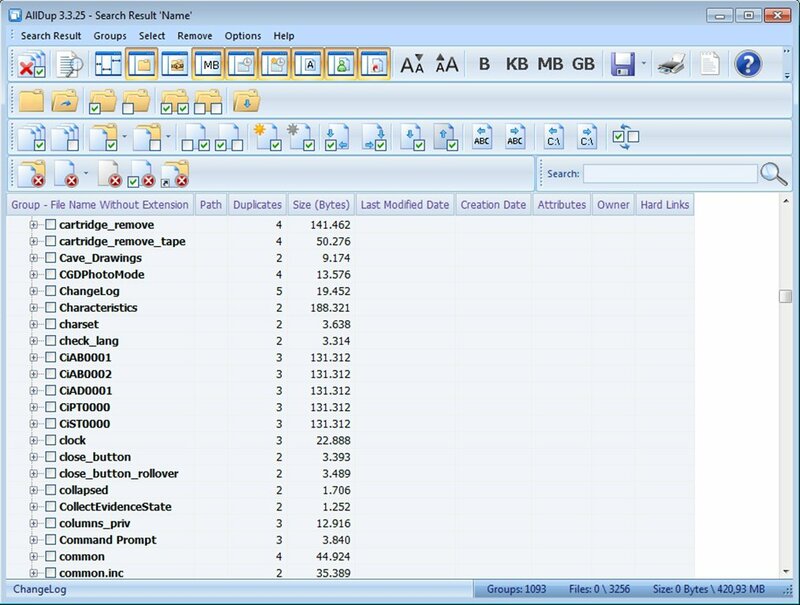 Its approximate matching algorithm allows finding files with identical or similar names. Besides, it shows matches between different types of files, for example, a JPG file with the same name as a PNG file. Once downloaded and installed, open dupeGuru and click on the icon with the plus sign on the first screen to select the folders you want to scan for duplicate files. Select scan and the program will start working. Depending on the quantity and size of the files inside the folder, we will have to wait a bit to take the next step. Eventually, the list of duplicate files will appear on your screen. The original files will be marked in blue, and just below them, you will find duplicate files and their corresponding location on the hard drive. You can also see the file size and a match percentage to determine how the same one file can be to another quickly. To select the files and perform actions in batch check the box that is right next to the file name. Data can be deleted, copied or moved from the location for verification. Continuing with the selection of the best free duplicate file finder, you have DupKiller. DupKiller may not be the program with the most beautiful interface, nor the easiest to use, but it is undoubtedly one of the most effective in finding repeated files on your hard drives. DupKiller performs its search of duplicate files taking into account a series of guidelines that you can indicate in advance, such as limiting the search to a specific disk or folder, files with a particular format, etc. For this purpose, it uses a series of similar algorithms that provide a high search speed and a large number of duplicate results detected correctly. As it usually happens in this type of software, the decision to delete duplicate files from your hard drive corresponds only to you. So DupKiller will show you all the results obtained paired with your duplicate. That way, you can decide which one you keep and which one you eliminate. AllDup is one of the free duplicate file finders that has taken care of its interface, although it is true that it already touches a style update. At first glance, AllDup may scare less experienced users a bit since its interface is somewhat loaded with buttons and options for the configuration of the search of repeated files, but when examining the functions in more detail, it is not as complicated as it seems. In essence, it is to indicate where to look for duplicate files and what kind of files should be searched. Then, click on Start Search to start the search. Once completed, it shows you the results in the Search Results window, most of this window is occupied by various toolbars that allow you to sort and classify the duplicate files that AllDup has found on your hard drive. You can do it by its size, by name, by date of creation, etc. Once ordered to your liking, you can select the duplicate files to remove them permanently from your hard drive. One of the great virtues of AllDup is that it is available in two versions. One of them is the traditional one that you can install on your computer, while the other is a portable version that doesn’t need installation, which is an ideal program to carry in a pen drive and perform maintenance tasks on other computers without having to install anything on them. 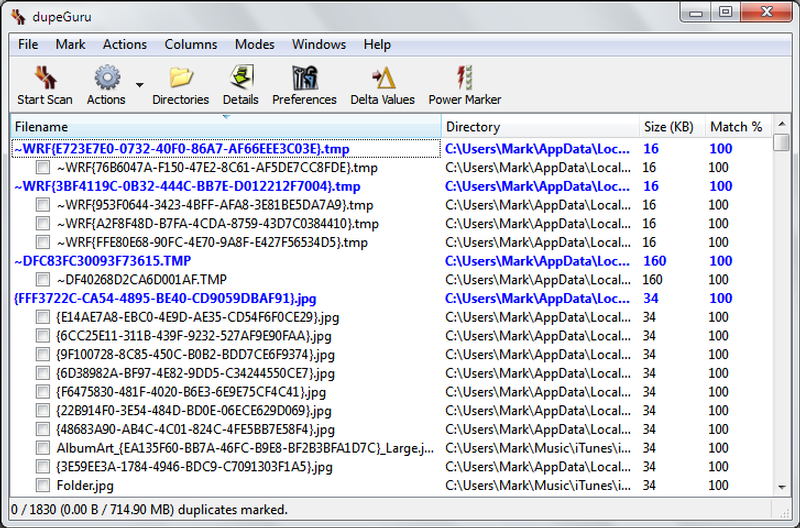 So far I have shown you some of the best free duplicate file finders. But these are for generic use. That is, they can determine the duplicity of two files regardless of whether they are photos, videos, audio files or text documents. VisiPics goes a little further and specializes in recognition of duplicate images. This tool for detecting duplicate photos isn’t limited to finding duplicate files based on the data attached to the file, such as name, date of creation or specific metadata. VisiPics can determine that two photos are visually the same, even if their names are not identical. This can be very useful when, for example, you took a picture and noticed that something out of focus or someone had closed their eyes at the last second, so you repeated the photo, but you didn’t delete the copy that had come out blurred and when copying them to your computer this file remained. Both photos will be different since they were created a few seconds apart and will probably have different names. However, VisiPics detects that there is a high degree of similarity in what both photos show, so it shows them as repeated. So far those were the best duplicate file finder tools to clean your computer for those unnecessary duplicate files that you may have on your computer or laptop. Do you use another duplicate file finder? Let me know in the comments section.